Quality imports and market fragmentation are driving innovation. Wente Vineyards uses estate-grown grapes from Livermore Valley and Arroyo Seco for its flagship 500,000-case brand, which is expected to grow up to 12 percent in 2015. California wine producers are generally bullish on 2015, while also noting increased competition from reasonably priced quality imports and a high number of new luxury entrants. These challenges have made it imperative for marketers to step up their game and attract experimental drinkers. The brightest spots in the category include the growing year-round popularity of sparkling wine, the continued consumer interest in red blends and the improving pricing environment. Wines in the millennial-friendly $8-to-$11 tier, as well as those in the $11-to-$15 segment, are showing solid growth, while the $15-to-$25 range is experiencing a discernible upward trend as Generation X and other consumers move to the higher price tiers. “Overall, we’re seeing a trade-up on price points, with growth mainly coming from wines in the $8-to-$20 segment, thanks to strong brands like Woodbridge by Robert Mondavi and alternative packaging, such as Black Box,” says Jay Wright, president of the wine and spirits division at Constellation Brands. “We’re not yet at prerecession levels, but it looks good.” IRI data shows the $11-to-$15 tier at 14.1-percent dollar growth for the 52 weeks ended January 4th. Within that range, Wright says Constellation’s Dreaming Tree label registered a 31.3-percent advance. California now must play on a world stage where countries like Argentina and New Zealand are offering well-crafted choices at attractive price points. “The pressure for California is that the wine market has become more global,” says Melissa Devore, vice president of wine buying at Total Wine & More. “The consumer doesn’t necessarily know that Cupcake is from California. People are getting more information, and we’re seeing an increased proclivity toward exploring wines. If they like red blends, they might be inclined to try a Rhône.” At Total Wine, red blends are still strong sellers, especially sweeter under-$10 offerings like Apothic and Ménage à Trois. Trinchero Family Estates has also added the Sutter Home Red Blend, while Constellation now offers the Robert Mondavi Private Selection Heritage Red Blend. California sparkling wines Brown-Forman’s Korbel continue to drive sales. Brands target younger consumers with cocktail recipes and sweeter variants. Some major producers who held back price increases for a number of years are now finally implementing changes. However, the picture is mixed, with the lowest pricing tiers only making small adjustments, if any, to retain customers, while the luxury levels are being more aggressive in pricing increases. Korbel, which is marketed by Brown-Forman Corp., raised retail prices on its sparkling wine by $1 in 2014 after nine years of no increases, but says the change hasn’t affected sales. Suggested national retail prices for the brand range from $13.99 to $16.99 a 750-ml. bottle. 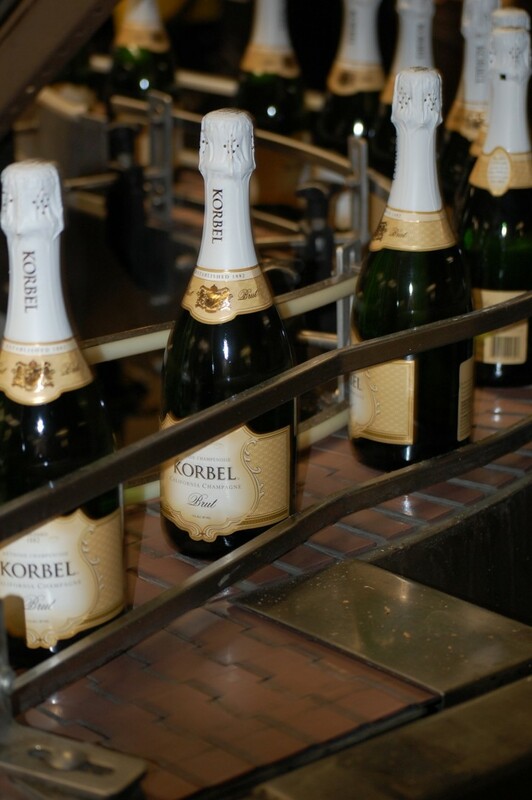 “We’re eating payroll, glass and grape cost increases,” Korbel owner Gary Heck says. 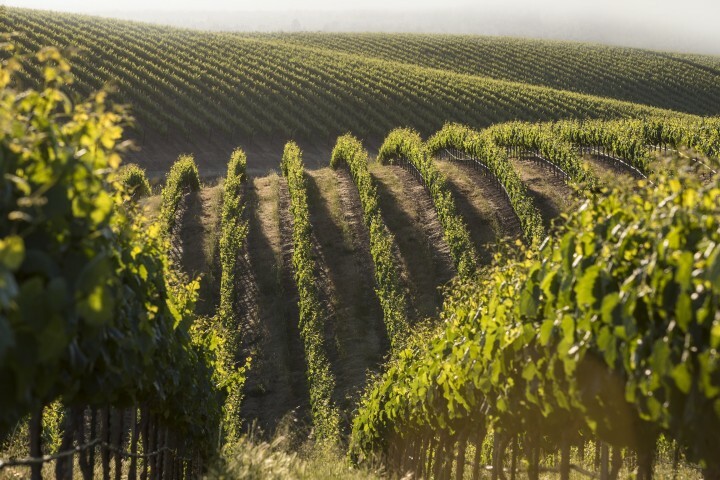 He expects some pricing changes in the industry as the wine glut from the 2012 and 2013 harvests diminishes, adding that the 2014 harvest had a lower yield, so this year will see some leveling out of supply. But pricing has been affected—perhaps permanently—by the last recession. “Consumers are finding ways to stretch their dollar, and that shift includes looking for brands that provide quality products at accessible price points,” says Dave Derby, senior vice president of marketing for Trinchero Family Estates. He also sees the greatest demand for wines between $10 and $18 as consumer spending continues to advance. In the off-premise, some higher-end wines are showing a significant jump, according to Bob Paulinski, senior vice president of wine for Beverages and More (BevMo). He notes that some wines in the $30-to-$50 range have raised prices as much as 10 percent, but overall increases have been fairly nominal. At Total Wine & More, Devore has observed a trend toward small increases, such as 50 cents for wines under $10. In general she sees prices holding for 2015 and 2016, with dollar growth of all wine sales expected to advance at around 3.8 percent—about the same as the previous period. 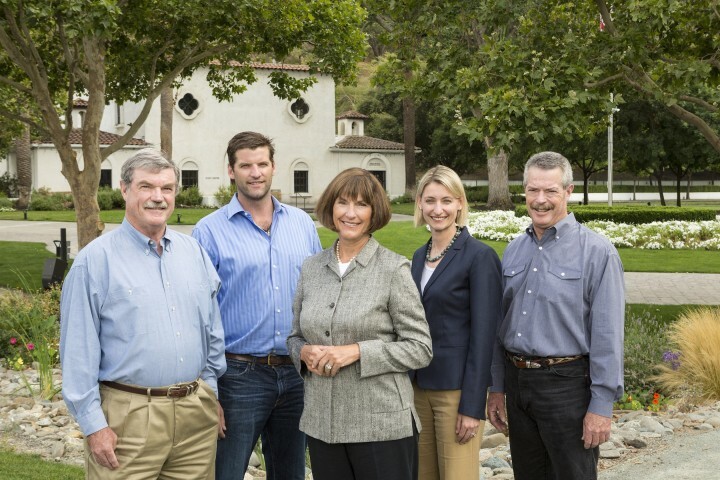 (FROM LEFT) Eric Wente, Karl Wente, Carolyn Wente, Christine Wente and Philip Wente are fourth- and fifth-generation winegrowers at Wente Vineyards, which has been making wine since the 19th century. The company focuses on authenticity, and its strong brand DNA appeals to a broad range of consumers, from baby boomers to millennials. Next-generation wine leaders are focused on wines that tell a story and feel authentic. “We think the future is the $12-to-$25 tier, with an emphasis on appellation-driven wines that have a story,” says Donny Sebastiani, president and CEO of Don Sebastiani & Sons. The fourth-generation wine player leads his family into new markets and products. “We’re now talking about wines with a sense of place and a flavor profile that comes from the appellation,” he says. One emerging label is Sivas-Sonoma ($16 to $25 a 750-ml. bottle), launched last June. “Historically, our family’s wines have been in big stores. For Sivas-Sonoma, we’re looking at smaller wine shops where we can tell a story,” Sebastiani explains. The company’s top-sellers include Sivas-Sonoma Sauvignon Blanc ($16), Don & Sons Sonoma Coast Pinot Noir ($20) and B Side Napa Valley Cabernet Sauvignon ($22). At 750,000 cases, Smoking Loon was flat in late 2014 over the previous year. However, Sebastiani says the brand is still outpacing the $6-to-$9 segment, which is down about 5 percent. Also a fourth-generation winemaker, Carolyn Wente believes in authenticity. The CEO of Wente Vineyards has shepherded a five-year run of double-digit advances for the 500,000-case flagship label. Last year, the company raised line prices from $12 to $14 for Chardonnay offerings and from $12 to $16 for the reds. Sales flattened as a result, but this year, a 10-percent to 12-percent increase is expected. “We attribute growth to people coming back around to wineries that are authentic,” Wente says. “People are much more curious now, and they can see where the wine actually comes from at Wente Vineyards.” The 132-year-old winery uses exclusively estate-grown grapes, farming 2,000 acres in Livermore and 1,000 in Arroyo Seco. “We have a lot of brand DNA that’s resonating with millennials all the way through to baby boomers,” says Wente. “If you stay true to yourself, your sourcing and your vineyards, you may not be the hot brand one year, but you’re always in the mix.” The company also markets Entwine, a partnership with Food Network that earned a 2013 Impact “Hot Brand” award. The 125,000-case label features Pinot Grigio, Chardonnay, Cabernet Sauvignon and Merlot offerings ($14.99 a 750-ml. bottle). Pursuing his own vision of winemaking is Joe Wagner, the youngest son of Caymus Vineyards cofounder Chuck Wagner. A fifth-generation winemaker, he owns Copper Cane Wines & Provisions, whose Meiomi brand has done extremely well. That success prompted Copper Cane to launch the Oregon Pinot Noir Elouan and the Napa Valley red blend Carne Humana. Meiomi Pinot Noir is now at 500,000 cases, and the recently launched Meiomi Chardonnay is expected to sell 100,000 cases of its initial release. The Meiomi wines are line-priced at $22 a 750-ml. bottle. Joe Wagner’s approach focuses on improving older winemaking technologies to refine fruit extraction, creating a wine with more finesse and richer color. Both Meiomi wines are sourced from coastal vineyards in Monterey, Sonoma and Santa Barbara counties. “I want a broader palette to paint with and to rely on more of a stylistic character than the appellation,” Wagner says. 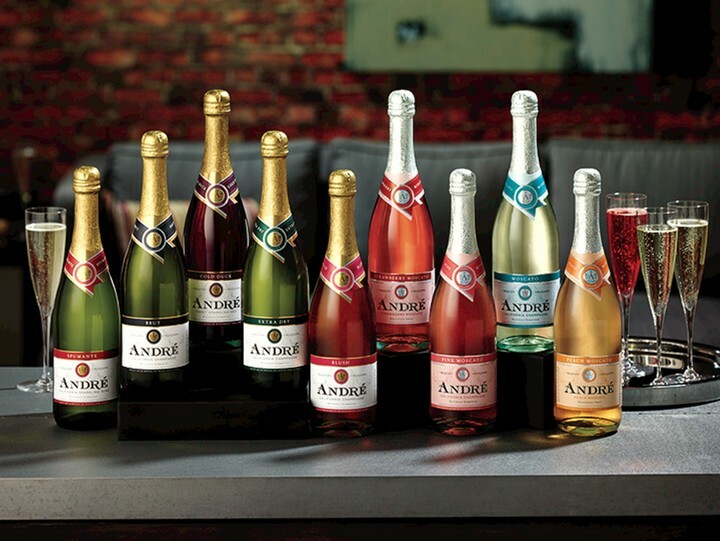 Sparkling wines like André are taking novel approaches to innovate the category and attract new customers. Three trends are driving 2015 sales: consumers’ love affair with bubbly offerings, the related behavioral shift to sparkling wine as an anytime beverage and an affinity for wine cocktails. Drawing on the tactics of spirits brands, Korbel has developed drink recipes for at-home mixologists that feature brands like Jack Daniel’s Tennessee whiskey. “We have a cocktail to go with everything they make,” Heck says. E&J Gallo has embraced the bubbly-anytime trend. “In marketing Barefoot Bubbly, we realized that the majority of our sales actually weren’t in the holiday period,” Gallo says. “It was no longer relegated to celebratory drinking. We’re noticing a huge resurgence as millennials consume it as a gateway to wine.” The sparkling wine growth has spurred Gallo to refresh its 50-year-old André brand ($5.99 a 750-ml. bottle). The wine has a resealable closure and now markets Moscato and Pink Moscato offerings. Millennials with deeper pockets are one target demographic of startup brand XXIV Karat, the sparkling wine venture of Nicholas Cowherd and Kegan Klein. The wine has edible 24-karat gold flakes floating through the bottle of Grande Cuvée ($35) and Rosé ($41). Geared toward the bottle service and nightclub crowd, the packaging features LED strobe lights. “We saw a category that has lacked innovation and wanted to create a brand that embodied sparkling wine,” Cowherd explains. “The gold flakes create a theater in your flute.” Launched in August 2013, the brand is expected to more than double to 13,500 cases this year, targeting select markets like Los Angeles, San Diego, Phoenix, Denver and Charlotte, North Carolina. 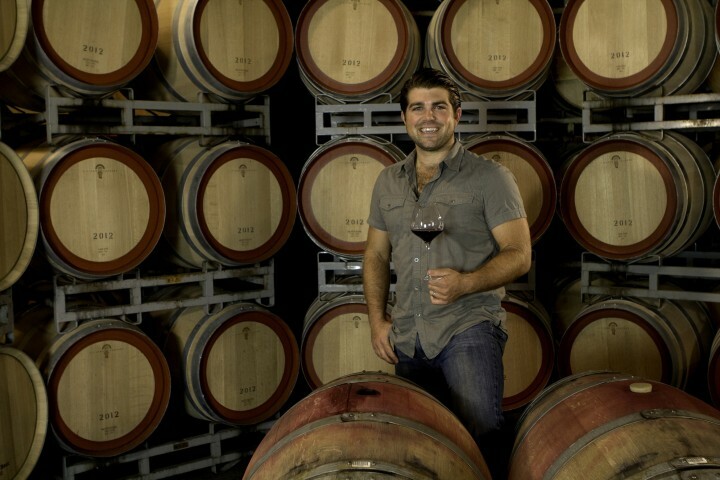 Fifth-generation winemaker Joe Wagner launched Copper Cane Wines & Provisions in 2014. The company’s successful Meiomi wine brand features a Pinot Noir and a Chardonnay, both sourced from Monterey, Santa Barbara and Sonoma counties. Roy Cecchetti, president of the national brands division at O’Neill Vintners, disagrees. “Millennials aren’t overly obsessed with where the wine comes from,” he says. Difficulty in getting shelf-placement for new labels and the shrinking distribution network are the real hurdles. O’Neill is adding more higher-priced wines to its portfolio, including the Austerity brand (around $17 a 750-ml. bottle) from the Arroyo Seco and Santa Lucia Highlands AVAs and a barrel-fermented Chardonnay ($12 to $14) from the Central Valley. “Consumers have started to swing back to bigger, buttery, oaky Chardonnay,” Cecchetti says. “It’s a double-edged sword,” says Dennis Carroll, founder of the marketing company Wine Hooligans. “The market is fragmented—you can get in, but it will be crowded.” He sees consumers migrating to more earthy wines. “Wine drinkers in their 20s are so much more sophisticated. They’ll move toward the European style,” he notes. Wine Hooligans is rereleasing the Cycles Gladiator brand ($10 to $12 a 750-ml. bottle), which was previously owned by Hahn Family Wines. Carroll has brought back the original winemaker, Adam LaZarre, and expects to do 60,000 cases this year. He also has reintroduced the Stephen Vincent brand ($12 to $14) and the Goyette label ($15 to $17). New product entrants are a significant force, contributing 6 percent of the category growth in wine, according to Constellation’s Wright. “In addition, wine sales are undergoing a big shift from independent stores to retail chains, which will drive much of how our industry will change over the coming years,” he says. Private-label wines, which take up shelf space in major stores, are a concern. “It’s good margin for the retailers, but genuine branded business is at risk of losing some share,” Copper Cane’s Wagner says. Going forward, the stiff competition from spirits and craft beer will continue. According to a study from Constellation Brands, just 4 percent of wine consumers drink only wine. “Today, the majority of legal-drinking-age customers consume many beverage alcohol categories and generate more volume than consumers of only one category,” Wright notes. That trend gives California wineries a reason to continue stepping up their game in new products, packaging and intensified digital marketing to reach millennials.